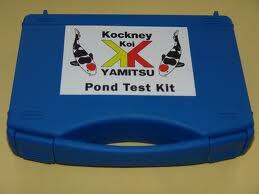 This range of kits enables easy monitoring of water quality in your pond helping you to keep the water clean and safe. These kits can test for Nitrate, Nitrite, Ammonia and pH whilst also providing guidelines on safe levels. Just as clean air is required for us to live, clean water is essential for aquatic life.